Servicing Sydney Metropolitan, Blue Mountains, Western Sydney, Hawkesbury and Macarthur Regions. 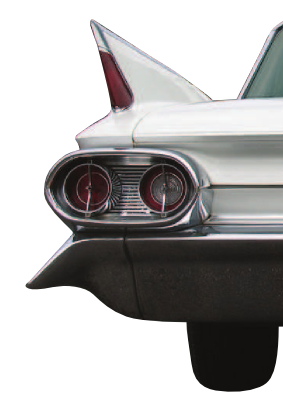 At Classic Cars of America, we offer the wonderful combination of funky tail fins and elegant styling for the ride that will provide you with the 'Look At Me" experience as you arrive at your event...we like to think of it as classic elegance and retro extravagance. Create the wow factor in your photos and your memories with these beautiful cars. Cadillac, in their 1961 ad campaign stated that "The highest praise that can be accorded any product in any field is to declare it the Cadillac of its kind." So why not get the real thing, and be the best! We are NSW Government Accredited and offer a range of prices and packages to suit all budgets, and pride ourselves on our service and care for each couple or group as they celebrate their wedding or special occasion. Viewing of the cars is by appointment, so feel free to contact us to arrange a time. You can also view some pictures on our website of the cars in action. Let us give you the wow Factor! Step back into an era of elegance and extravagance...enjoy all the retro glory of a 1961 Cadillac!